Here is a roundup of players whose contracts are due to expire, and a brief summary of what might be the best course of action with each player. Guy Moussi ;- Moussi had signed a 3 year extension under McClaren when he looked likely to be moving on at that time and had been attracting high level attention. Those days are long gone. Moussi will not have any top 2 division club banging on the door to sign him. If he stays in England he will likely look like going to league One (where he could shine) or frankly end up anywhere? I for one wouldn’t think his contract is worthwhile renewing. I've never been a huge fan, and his performance for Derby sums it all up. Matt Derbyshire: - Most high profile right now is Derbyshire following his recent scoring run. However had anyone asked 4-5 weeks ago if he was worth keeping and the answer would definitely be a no. 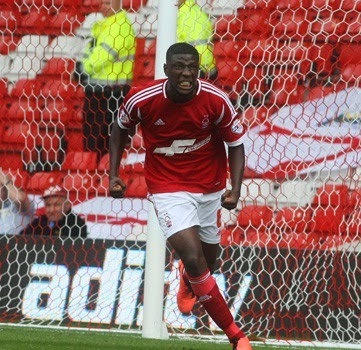 Its arguable his form is as he is playing for a new deal somewhere and attracting suitors if not Forest. The thing is he is on high wages. I think a 1 year deal on reduced terms could be offered, it's if he accepts though or what the best offer out there is. Ben Osborn: - Surprisingly the new emerging talent of Ben Osborn is also looking available this summer. Forest may well be moving to tie him down now however. He is definitely worth a 2 year extension to see how he progresses in the team, and if he's doing well next season, tie him down to a longer better deal after Christmas. Ishmael Miller: - Although some wanted him back after his goal scoring exploits for Yeovil, I think for Ishmael all of his bridges have been long burnt and he needs to move on. Big wages, poor returns, and a seemingly mutual dislike between him and fans and Miller has to go. And will go. Gonzalo Jara:- Only signed a1 year deal last summer, and has been in and out the team. I'm not sure what kind of pay he is on, but for the early part of this season I rated Jara. In the last two months I can't help feeling he has one eye on the World Cup and doesn't want to get injured so has been lacklustre at best. Personally I believe him to be completely replaceable for whatever we are paying him, and it's time to maybe move him on. Marcus Tudgay: - I initially forgot about Tudgay, even though had him on my list. I guess that sums up his season, though weighing in with that goal versus Wednesday was a big moment. I really can't see him getting renewed, nor him wanting to be. To be honest I was surprised when he was last season. Looks the end for Aleksander Orlov.